Got this ugly bootleg for a repair. Game had no sound and the jump button didn’t work. 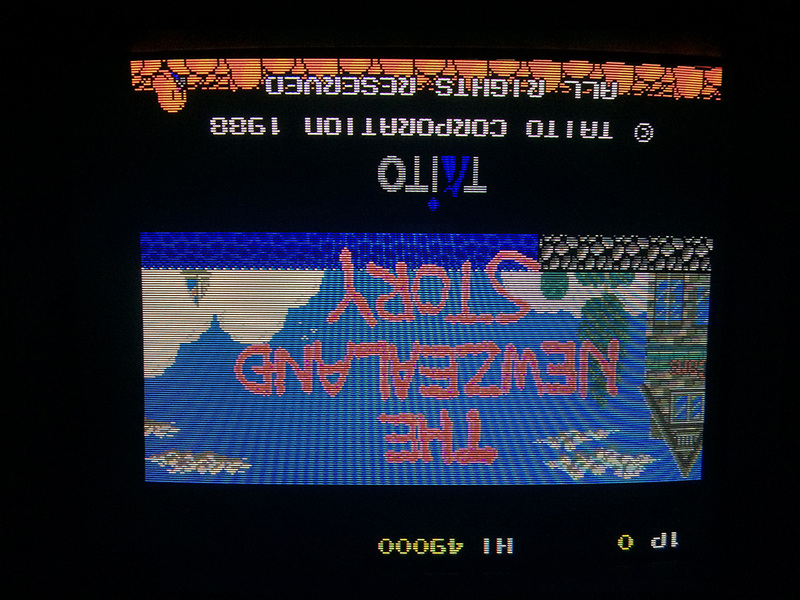 First of all, this bootleg is known to have the picture upside down and I wonder why the bootleggers left the game in this state. Since I had no white noise from the amp I checked the circuit near it and found a capacitor with a leg desoldered. Unfortunately the hole was completely rusted and I had to run an ugly wire to another point on the pcb to restore the sound. 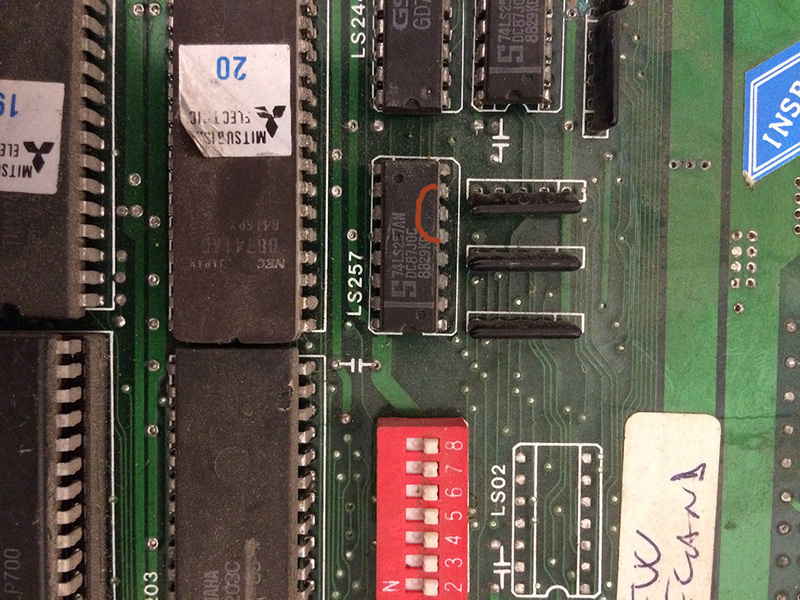 For the “Jump” problem I traced back from pin 23 of the Jamma connector to input 2A of a 74LS257 multiplexer. 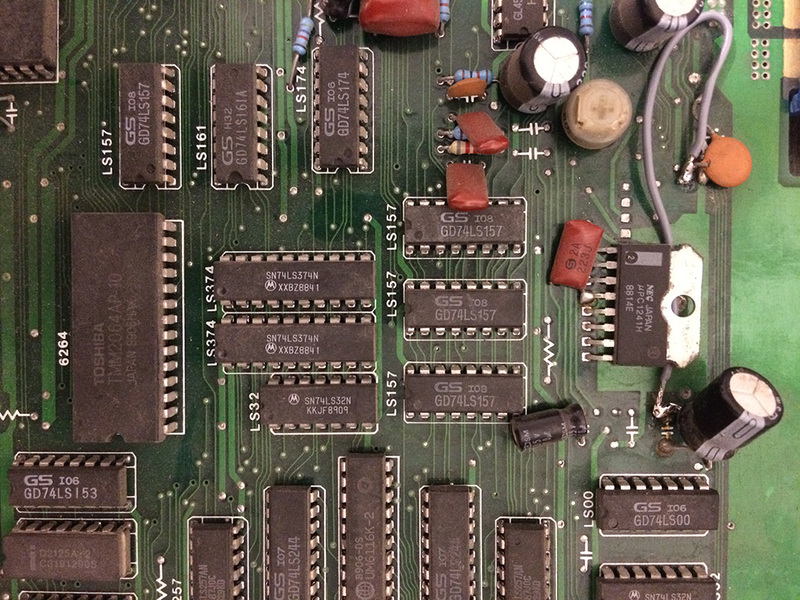 The jump button of the second player, was connected to input 2B of the same 74LS257. 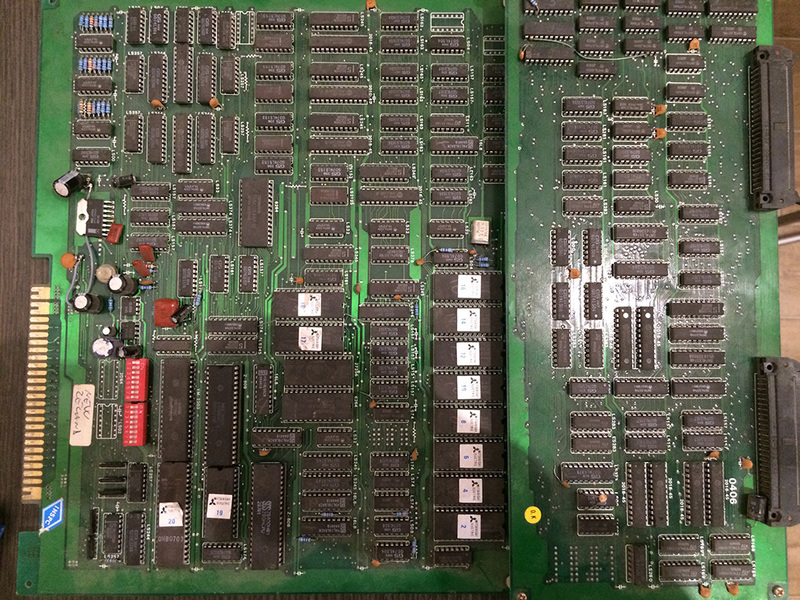 So those buttons has the ouput 2Y of the 74LS257 in common, so to check if the TTL was working correctly, I ran the input test with the second joystick and infact also the second player jump was not working. The output 2Y was oscillating but evidently not in a correct way. Given that the game has no first player and second player playing at the same time, I opted with a simple but effective solution: I shorted 2A and 2Y togheter so that the first player button was connected directly to 2Y.